Pico y Pala - Bitcoins, Ethereum, Ripple,... - A place to talk about altcoins. Bibox Orbit, the one of a kind subscription program for some of the best blockchain projects has concluded its first phase at 20:00 (GMT +8) on 22 April 2019. The launch day of this Bibox digital asset platform’s initiative garnered a lot of positive response from the BIX token holder community, who subscribed to three prominent blockchain projects. The Bibox Orbit program listed three shortlisted projects, opening them for subscription to the BIX community. The program launch witnessed participation by over 56,000 people who picked one or more projects from the list that included The Force Protocol, Ludos and X-Block. In order to participate in the Bibox Orbit launch, KYC verified BIX token holders were required to transfer the BIX tokens (the only accepted mode of payment at the moment) to the Bibox Orbit event page. Once the event went live at 10:00 (GMT +8) on April 22, they could pick one or more projects of their choice from the shortlist and pledge their BIX tokens. The platform had set a maximum cap of $5000 worth BIX for all participants, allowing them to pledge to any project such that the total amount doesn’t exceed the subscription limit. The eligible participants to receive the tokens from the projects they backed was chosen through a lottery process. The lucky draw was held at 20:00 (GMT +8) the same day following the conclusion of subscription round. With an average probability of lucky draw of the three projects at 11%, the official results have since then been released. According to the official report, the ending digits of lucky draw numbers are as follows. The BIX tokens used to subscribe to lots other than the winning digits will be returned to their respective owners in the next 24 hours. The random drawing format was implemented by the platform in the interest of the community as it can avoid auto crypto trading bots. In this format, as long as one participates, they get a chance to own their fair token share. Ludos is another Singapore-based gaming public chain platform with multi-sidechain and cross-chain technology that allows gamers to manage and trade their gaming assets. Ludos helps developers and game studios to crowdfund development, allowing them to issue game assets and benefit from the operation toolbox offered by the platform. Bibox is committed to encourage the development of blockchain ecosystem and Bibox Orbit is a part of the company’s initiative to do just that. Bibox Orbit will continue to support more IEOs in the near future in a phased manner. The projects will be selected after scrutinizing their applications against various parameters to decide their viability and the ability to offer real world solutions to various challenges faced by multiple industries. Bibox has further extended support for the projects that are being listed on the Bibox Orbit program. As the next step, the digital asset exchange platform has opened FOR/BIX and FOR/USDT trading pairs starting 14:00 and 16:00 (GMT +8) on April 23 respectively. Similarly, the LUD/BIX trading pair will go live the same day at 20:00 (GMT +8). Within one minute of opening on Bibox, the FOR/BIX trading pair registered an 800% pump in the value of FOR tokens, compared to the initial subscription price. The post Bibox Orbit Successfully Registers Strong BIX Community Participation, Lists New Trading Pairs appeared first on NewsBTC. 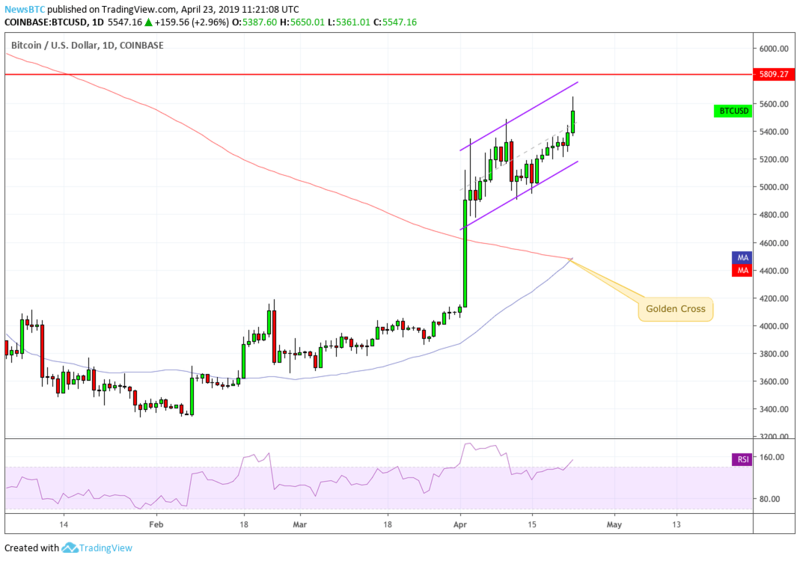 The bitcoin price formed a new 2019 high towards $5,590 this Tuesday and its likelihood of testing $6,000 to the upside has increased. Mr. Anderson, a cryptocurrency analyst, revealed the proximity between the bitcoin price and the BTC shorts behavior in his latest statement. The analyst noted that whenever traders push BTC shorts positions in the overbought area, the probability of a bitcoin price jump increases. The chart above provides six separate instances in which the bitcoin price starts rising after every overbought correction in bitcoin shorts. Bitcoin shorts considered overbought when its Relative Strength Index (RSI), a momentum indicator, closes above 70. The last time the BTC Shorts RSI hit over 70 was in December 2018. As it corrected lower, the bitcoin price surged from $3,151 to $4,300. In another instance, which took place during August-September trading session, a BTC Shorts RSI correction to the downside led a 20 percent BTC surge. A short position typically signifies the investors’ bearish sentiment for the underlying asset. A trader borrows the asset and sells it at a higher rate. Later, s/he speculates the asset’s price to fall so s/he could purchase it at a lower rate and return the equal amount of assets he/she borrowed back to his/her lender. Therefore, the trader profits from the “short sale” of the asset. However, if the asset price gains instead of falling, the trader loses money, for s/he purchases the asset at a higher rate to return it to his/her lender. The earlier Bitcoin Shorts corrections led to a bitcoin price surge amounting to as little as 8 percent. At the current $5,500 price support, a minimum 8 percent jump to the upside could quickly push BTC to $5,940. That would certainly increase the coin’s probability of hitting $6,000, which was a crucial support level before the Bitcoin Cash hard fork fiasco had it broken. The technical factors outside the scope of overbought Bitcoin Shorts are also pointing to a higher BTC price. After weeks of speculation, BTC’s 50-days moving average (blue) crossed above its 200-days moving average (red). 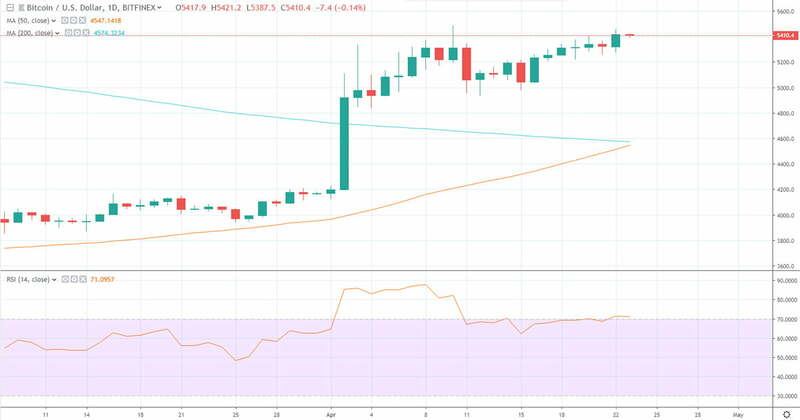 Though NewsBTC has earlier explained why a Golden Cross is not always a bullish indicator, the pattern nevertheless remains a strong reason for bitcoin traders to hold their long positions. As of now, the bitcoin price needs to break above $5,800 to signal an upside continuation. Couple that with RSI correction in BTC Shorts and the market might be in a for a BTC price rally towards $6,000 – at last. The post Here’s How Shorts Could Push Bitcoin Price Above $6,000 appeared first on NewsBTC. White paper writers are earning up to $50,000 per job, according to a Decrypt investigation published on April 22— but the freelancers involved have accused some startups of misleading investors. Volodymyr Malyshkin, a Ukrainian white paper provider, revealed he had been asked to include fake numbers in documents. He also claimed many businesses had little understanding of what blockchain involves, and simply want to include the buzzword in order to attract investment. In some cases, Malyshkin said writers faced the task of inventing entire business models for their clients. An anonymous white paper writer in the United States added that copyright infringement is rife in the industry, with startup executives ordering writers to include details of patented technology belonging to rival companies. On the other hand, most of those interviewed reported a recent uptick in demand for white paper writing, suggesting the crypto slump is nearing its end, Decrypt notes. A non-fungible token (NFT) on the blockchain is a token that represents a unique asset, either digital or physical. Such a token holds a unique string of metadata pertaining only to that specific unique asset. Therefore, an NFT cannot be replaced by any other token, since no other token – even that adhering to the same token standard (ERC-721) – cannot substitute its metadata. Gaming industry: Gaming industry and non-fungible tokens are a perfect match! Imagine being able to check a detailed history of the magic shield or sword you have just bought. NFTs can provide a proof of ownership for every item within blockchain-supported games. Ticketing: Tickets to music concerts or football games are usually unique and interchangeable. They give us permission to see an event or activity. Due to those aspects, the ticketing space could have huge benefits employing NFTs on the blockchain. Supply chain: In recent years, the supply chain has become a huge topic. With more and more affairs in the food industry, people all over the globe have started demanding detailed origin information on the food they eat. NFTs can help as a tracking mechanism on the blockchain in the supply of healthy food to consumers. Fundraising: In the case of a disaster, a limited number of NFTs could be created for all the donors to restoration funds. Special tokens would record their donation on the blockchain and keep it stored for decades, adding transparency to the fundraiser. Bulls, it’s been a minute. Over the past few hours, Bitcoin (BTC) has begun to rally again, pushing past $5,400, $5,500, and even $5,600 (albeit briefly) after nearly a week of mundane stagnation. While this move seems to be just another Monday pump, which could be deemed not significant by some, this unexpected bump is monumental from a technical analysis perspective. If you haven’t checked Crypto Twitter for the past week, BTC just printed a golden cross, whereas its 50-day moving average has crossed over its 200-day, signifying that bears might be finally be biting the dust. But funnily enough, some have claimed that this cross isn’t anything to really write home about. Bitcoin To Fall After Golden Cross? Golden cross this, golden cross that — over the past few weeks, everyone and anyone in the cryptosphere has been repeating those two words incessantly. As explained earlier, a golden cross is a technical pattern that has historically been a bullish indicator for assets across the board. And as seen just hours ago (and below), this pattern has been printed on Bitcoin’s one-day chart. So why are some analysts now bearish, claiming that a drop is imminent? As NewsBTC explained in a previous report on the matter of bearish golden crosses, each time this pattern came to life on a chart, a rally was not always sustained. Over the past decade, gold has seen a number of golden crosses, four in fact, but only rallied to the upside once — a 25% hit rate. There are a few other examples of such cases, but we won’t bore you. Here are a number of other reasons why analysts aren’t over the moon just yet. First off, BTC has yet to close far above its 50-week exponential moving average (EMA). As analyst Proof of Research points out, this specific moving average has “stopped the run dead in its tracks” multiple times over the past three weeks, acting as a strong local resistance. 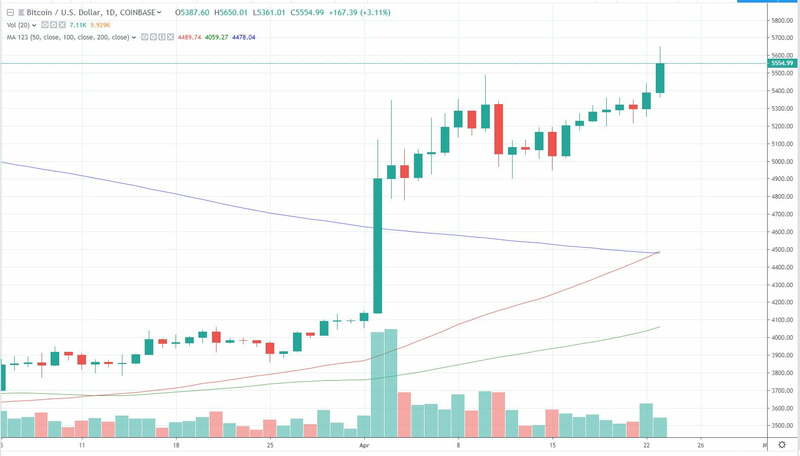 Although this point is somewhat null in that Bitcoin is currently trading slightly above its 50-week EMA ($5,550 compared to $5,480), as seen in the chart below, BTC’s ongoing move could be a mere wick of a candle that fails to close above this resistance. Biggest impediment to price action moving UPWARD for $BTC #Bitcoin is the EMA-50 on the weekly resolution. Secondly, Bitcoin’s one-day chart looks eerily like that seen during 2015’s bottoming process, but prior to the second capitulation event. For those not versed in BTC’s price history, the 2013 to 2016 cycle saw Bitcoin fall under $200 once, and then again in what is known as a double bottom. What makes this notable is that the second collapse came after a golden cross. As the ill-titled Magic Poop Cannon explains, Bitcoin’s chart structure, 50-week exponential moving average, 50- and 200-day moving averages, Fibonacci retracement levels, and Relative Strength Index (RSI) readings are effectively identical to that seen in mid-July. Thus, Magic predicts that if historical precedent is followed, BTC will trade in the low to mid $5,000s until May 7th, and will then fall to its 0.618 Fibonacci retracement, which currently sits at $4,025. Then again, some are sure that a further rally is in store for the cryptocurrency market, not a rapid 25% decline. On Monday, prominent trader Crypto Rand suggested that BTC is currently trading in a bullish pennant” pattern, marked by a tightening range and higher lows. If the pennant plays out as it does in technical analysis bibles, Rand remarks that Bitcoin will soon see a massive breakout to the upside, potentially “over the $6,000 region” as the analyst explains. This is notable, as the analyst somewhat called BTC’s previous breakout past $4,200 earlier this year. Rand isn’t the only one sure that $6,000 is inbound. 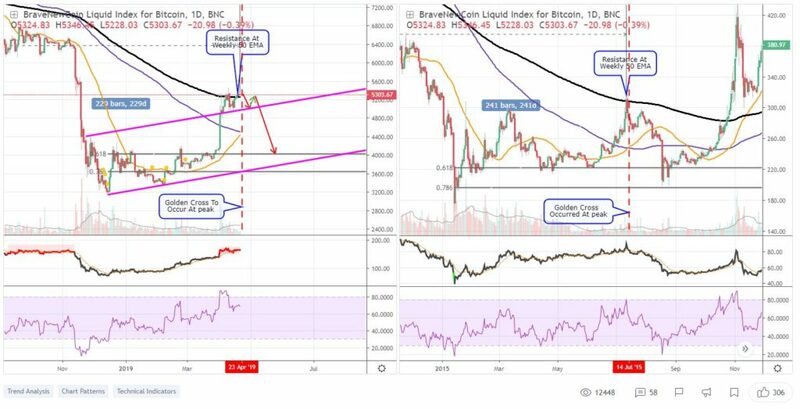 Lisa Edwards, the sister of Bitcoin Satoshi’s Vision (BSV) supporter Craig Wright (yes, the Dr. Craig Wright), recently claimed that Bitcoin’s logarithmic weekly chart is currently expressing “a strong bullish divergence and bull flag.” With this, Edwards determined that a move to $6,250 could come to fruition in the short-term. And as trader B.Biddles explains, Bitcoin’s one-week chart still resembles a textbook bump-and-run reversal bottom, which means that a rapid “uphill” run may be in the works for cryptocurrencies across the board. The post Bitcoin Hits $5,600 in a Monumental Rally From Technical Perspective, What’s Ahead? appeared first on NewsBTC. Blockchain security firm BitGo has gained a further security certification from an external auditor after a review of its compliance, cryptocurrency industry news resource The Block reported on April 23. BitGo, which last year gained a service organization control (SOC) 2 Type 1 certification from Deloitte, has now upped its procedures to conform to the Type 2 requirements of the same standard. This January, cryptocurrency exchange Gemini announced that it had completed an SOC 2 Type 1 certification, which ensures that it has met the service criteria set by the American Institute of Certified Public Accountants in regards to confidentiality, security, privacy, processing integrity and availability. “Building confidence in the cryptocurrency marketplace means having the highest level of controls and processes in place to attract and expand institutional investment,” The Block quotes BitGo’s CSO, Tom Pageler, as saying. At the time of the Type 1 award in July 2018 — which involved a year-long process — BitGo explained that client assurances formed the main impetus behind its efforts. As Cointelegraph reported, BitGo began offering its cryptocurrency wallet and custody services to newly-launched trading platform LGO Markets this month. Last week, a joint survey from the company focused on the high uptake of cryptocurrency by global endowment funds. A crypto company is launching “one of the first inter-blockchain, mobile decentralized exchanges” on April 23 — and says its platform is going to solve major problems currently seen in its centralized counterparts. According to the SovereignWallet Network, M.DEX is designed to address three key issues that have been having a detrimental effect on the usability and security of crypto transactions, for experienced consumers as well as newcomers. The first concerns the high risk of hacking associated with centralized exchanges. SovereignWallet says many of these rivals regularly perform virtual trading on their own databases to enhance transaction speeds and reduce fees, even though “it is almost impossible to prevent hacking.” M.DEX takes a different approach by ensuring that it does not take custody of a user’s asset at any time, with the platform claiming to be one of the first decentralized exchanges to implement an “on-chain wallet-to-wallet exchange.” When coupled with banking-grade security, the company says its blockchain-only approach will give greater peace of mind to its users. The second downfall of centralized exchanges that SovereignWallet wants to tackle concerns the difficulties that crypto consumers face when dealing in altcoins. The company argues that many major platforms have an overreliance on reserve assets such as bitcoin and ether — meaning that lesser-known assets need to be converted into one of these two cryptocurrencies before being swapped for another altcoin. SovereignWallet blames the status quo on a lack of direct trading pairs for altcoins and warns that this arrangement is leaving crypto consumers out of pocket. Not only do they have to pay transaction fees at every step of this arduous process, but they could also miss out on price gains and even see their crypto lose value because of how long it takes. M.DEX aims to solve this ongoing issue by delivering a “direct inter-blockchain exchange,” meaning that traders only need to pay one fee — irrespective of the pairs they want to transact. SovereignWallet says this is complemented by an escrow service for peer-to-peer trading, preserving anonymity, building trust and solving the dilemma of who will pay first. Finally, SovereignWallet claims that many traditional crypto exchanges are unusable for everyday consumers because of how complex they are — as volatility means they have a “high risk of losing money in a trade.” A myriad of complicated settings can also mean that inexperienced users could lose large portions of their crypto’s value through innocent and simple mistakes. The company hopes to simplify the process by offering a “fixed, market-price” exchange through M.DEX, with the platform setting exchange rates based on the market value of each cryptocurrency. It is hoped that this would remove barriers to mainstream adoption, pave the way for trading in an “easy and fair manner,” and create an environment that’s closer to a foreign currency exchange rather than a stock exchange. As a result, M.DEX plans to pivot exchanges from a place that was off-limits to novice users, as well as members of the public who did not have an interest in cryptocurrencies to begin with. Emphasizing its mobile-first credentials, SovereignWallet says all of M.DEX’s features are easily accessible through a single screen, meaning that “users can just select the token to trade from and the token to trade to.” From here, they can specify the amount of crypto they wish to trade and authorize the transaction. 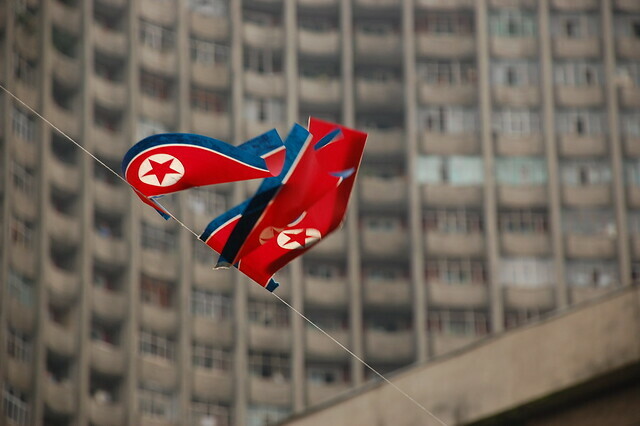 North Korea has been discussed for a long while by the crypto community due to rumours and various reports, saying that local hackers were attacking crypto exchanges in its neighbouring countries. Now, The Independent writes, citing a recent report made by the Royal United Services Institute (RUSI), North Korea is utilizing Bitcoin and other virtual coins to finance the creation of weapons under its program of mass destruction. The report made by the scientists at the RUSI says that the North Korean government headed by Kim Jong-un is using the nascent technology of crypto to provide financial support for its program of constructing weapons of mass destruction (WMD). cyber-criminal activities by specially trained groups of hackers. Kayla Izenman, one of the two co-authors of the study, states that the nature of crypto assets, which has purely mathematical limits, makes crypto a very convenient tool for those hoping to avoid using the traditional system of finance. Ms Izenman, quoted by The Independent, states that North Korea has stolen a lot of crypto through hacking exchanges. She also stated that the country is acquiring great amounts of various coins through mining. As per her, these assets may well be used for financing the WMD program which Kim-Jong-un is developing presently. The least that crypto is definitely helping North Korea to do, believes the scientist, is helping it to exchange financial transactions with people and organizations in other countries, avoiding the global sanctions implemented for the country’s financial and economic isolation. assets in their possession for supporting the local regime. Even though, certain diplomatic progress seems to be achieved between the US and the North Korea’s leader recently, Kim Jong-un keeps trialling WMD systems, as per North Korean media outlets. As for the talks regarding nuclear weapons between the leaders of the US and North Korea, those are still deadlocked, so the latter keeps testing new advanced weapon systems. That is also confirmed by the recently made satellite photos. gaining more cryptocurrencies in an attempt to avoid US-imposed sanctions. The post North Korea Using Bitcoin to Make Mass Destruction Weapons, Report States appeared first on Ethereum World News. The battle between Bitcoin bulls and bears rages on and the former have the upper hand at the moment. As BTC grinds ever higher those short positions which have loaded up may start to get exposed which could lead to liquidation. Bitcoin has hit a new 2019 high of just over $5,600 and has shown strength over the past week. Higher lows have been posted several times and there is a clear uptrend on the weekly chart. According to TradingView Bitcoin matched its 2019 high of $5,450 a few hours ago before starting to retreat a little. A surge a few hours later took BTC to a new high of $5,640 just above the 50 week moving average. Daily volume is now over $15 billion and has reached its highest level for the week. The bulls are leading things at the moment. Crypto trader and analyst ‘fil₿fil₿’ has been looking into short positions at Bitfinex which are now higher than those that preceded the breakout which took us from $4,000 to $5,000. The long positions are now the same as those which preceded the same breakout. This is a bullish scenario according to the analyst who also pointed out that there is a heavy load on the buy side as in previous situations where Bitcoin accelerated to new all-time highs repeatedly in 2017. Higher lows, bids stacked through the roof, momentum clearly shifting. The fabled golden cross is also imminent and this extremely bullish signal could spark off a wave of fomo which sends Bitcoin prices straight up to $6,000 in a matter of hours. Looking at the charts, the crossover of the 50 day and 200 day moving averages is likely to occur today or tomorrow. Bitcoin has finally jumped to $5,600 where the 50 week moving average sits – it pulled back from this level pretty quickly as some had anticipated. A break through this also would see a clear path to $6,000 and further liquidation of all of those short positions could send Bitcoin even higher. These scenarios are purely theoretical until they actually happen but the signals are lining up for Bitcoin and the bulls are poised for action after a long cold spell in crypto land. The post Bitcoin Short Positions Heavily Exposed, Golden Cross Imminent as BTC Hits 50 Week MA appeared first on NewsBTC. Ripple price corrected lower recently and tested the $0.3175 level against the US dollar. The price bounced back and traded above the $0.3200 and $0.3220 resistance levels. There was a break above a key bearish trend line with resistance near $0.3220 on the hourly chart of the XRP/USD pair (data source from Kraken). The pair is currently forming a bullish continuation pattern and it could revisit the $0.3300 resistance. Recently, we saw a strong downside correction in ripple price from the $0.3470 swing high against the US Dollar. The XRP/USD pair declined below the $0.3320 and $0.3250 support levels. The pair even broke the $0.3200 level and traded close to the $0.3175 level, where buyers took a stand. Finally, the price started a decent rebound and recovered above the $0.3200 level. There was a break above the 23.6% Fib retracement level of the last drop from the $0.3470 high to $0.3174 low. Moreover, there was a break above a key bearish trend line with resistance near $0.3220 on the hourly chart of the XRP/USD pair. The pair spiked above the $0.3300 level, but it faced a strong resistance near the $0.3320 level. The 100 hourly simple moving average also acted as a strong resistance. Besides, the 50% Fib retracement level of the last drop from the $0.3470 high to $0.3174 low also acted as a hurdle for buyers. The price retreated from highs and retested the $0.3200 level. At the outset, the price seems to be forming a bullish continuation pattern with resistance at $0.3260 on the same chart. A break above the $0.3260 level is likely to push the price above the $0.3280 resistance. The price might even break the $0.3300 level, but it is likely to struggle near the $0.3320 level. Above $0.3320, the price could face resistance near $0.3345 and $0.3360. On the flip side, if the price struggles to move above $0.3280 or $0.3300, there may be a fresh decrease. Looking at the chart, ripple price is clearly struggling below the $0.3300 and $0.3320 resistance levels. In the short term, there could be an upward move, but the price is likely to face a strong selling interest near $0.3300, $0.3320 and $0.3345. Only a successful close above $0.3360 might push the price towards $0.3500. Hourly RSI (Relative Strength Index) – The RSI for XRP/USD is now placed nicely above the 50 level. Major Support Levels – $0.3220, $0.3200 and $0.3175. Major Resistance Levels – $0.3280, $0.3300 and $0.3320. The post Ripple (XRP) Price Recovery Looks Real But Could Face Hurdles appeared first on NewsBTC.